A toilet in need of repair. When purchasing a toilet, it is important to go with a brand name that is widely recognized. Eljer is one of the leading companies. They have a strong warranty behind their products and tend to produce toilets that are reliable and will function properly for quite a while, but with time and enough use, even Eljer toilets will break. Repairing an Eljer toilet is really no different from fixing any other toilet brand. Depending on which Eljer toilet you have, there is a warranty spanning 1 year, 5 years or the life of the toilet. As Eljer's website notes, the warranty covers the porcelain body of the toilet, such as spontaneous cracking of the bowl or tank. The warranty is not valid if you break the toilet yourself. If you have registered your toilet and it is still under warranty, then repairing either the bowl or tank will be covered by Eljer. If you notice water puddling where the toilet base meets the floor, replace the wax ring. Remove the toilet from the floor by loosening the floor bolts. Turn off the toilet's water supply and disconnect the supply line. 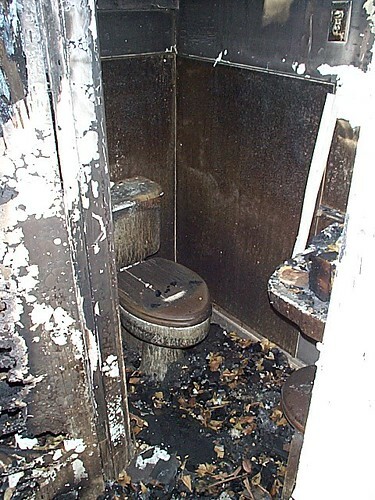 Flush the toilet before removing it from the floor, getting rid of any water left in the tank. Remove the old wax ring and insert the new ring into the toilet with the rounded wax side toward the toilet. Align the toilet back of the closet flange, ensuring that the wax ring stays in place. Once the toilet is in place, tighten the floor bolts and reconnect the water supply. If water is continually draining from the toilet tank into the the toilet bowl, then the flapper inside the tank has worn out. The flapper is the rubber piece that lays flat inside the tank and allows water to flow into the toilet when flushed. Universal flappers, found at any hardware store, can be used to repair Eljer toilets. To replace the flapper, turn off the water supply to the toilet and flush the toilet, emptying the tank. The old flapper should be held in by two hooks. Unhook the old flapper and remove the chain that connects the flapper to the toilet's handle. Insert the replacement flapper onto the hooks and reattach the chain to the new flapper. Turn the water supply back on and check to see if water continues to flow into the bowl without the toilet having been flushed. Replacing a toilet seat is one of the easiest repairs for any toilet, and Eljer toilets are no different. Replace the seat with one of the same shape: either round or elongated. Using a wrench, loosen the bolts that hold the toilet seat in place. They will be on the bottom of the bowl, where the tank meets the bowl. Lay the replacement toilet seat on the bowl, lining the bolts up with the holes in the toilet's bowl, and tighten the bolts, locking the new seat in place. The handle on your Eljer toilet is bound to break, and it is also a simple task to repair. Remove the lid of the toilet tank and loosen the locking nut by hand on the inside of the toilet tank. Unclip the chain that is connected from the flapper to the arm of the handle. Remove the broken handle. Insert the new handle through the front of the bowl, slipping the locking nut back onto the handle through the inside of the bowl. Reconnect the chain to the handle's arm. Test the handle to ensure that the flapper lifts properly; if it doesn't, adjust the chain that connects to the flapper.